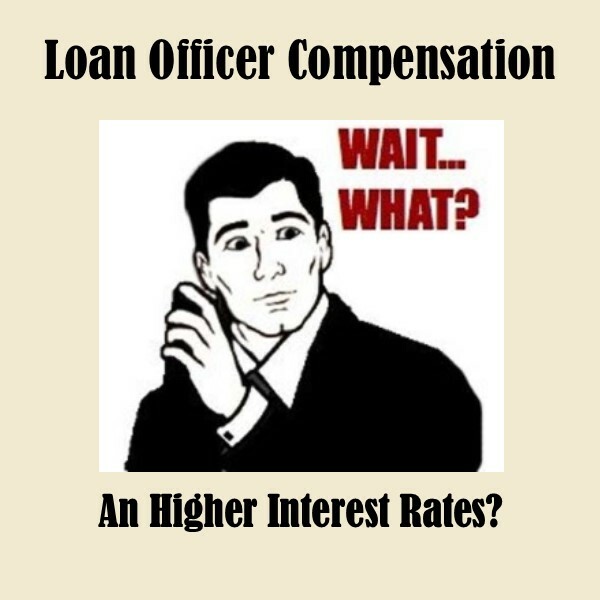 As a consumer you might be asking yourself why loan officer compensation is important to me. The reason Loan Officer Compensation is important to you is simple and it boils down to your monthly payment. And for Loan Officers it is important to know how your compensation is derived as your manager may not give you a straight answer for one of 2 reasons; one he or she doesn’t understand how it works or; two they don’t want you to know how it works. This little blog may cause ripples in the industry but personally I have learned to educate people in the industry as well as consumers and not to hide anything is always the best practice. I write this with 34 years experience in the mortgage industry and have seen the good the bad and the ugly in this industry and we are going through another change and consumers should be aware of all of their options when it comes to financing and the right questions to ask. I think all would agree with the statement that consumers are best served with the lowest interest rates and fees as possible. How does Loan Officer Compensation effect my monthly payment and why should I care? Great question, and the answer is a bit complicated, but it will be helpful to a consumer to know how to get the best deal possible when shopping for a loan. Loan Officers should know as they will be directly affected when clients go the lending source with the lowest interest rates. 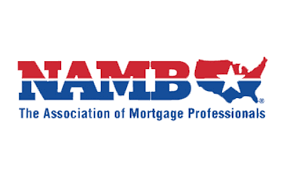 We need to start at looking at the current laws surrounding Loan Officer compensation and those laws have now been around since the Mortgage crisis of 8 years ago in 2010. These laws targeted Loan Officers but the laws were not equal in the way they were prescribed. For example, a Commercial Bank Loan Officer may or may not have an NMLS license and may be paid a salary and the Bank Loan Officer may also be in charge of several other types of loans other than home loans such as Auto Loans and credit cards. A Loan Officer that works for a Mortgage Banker or a Direct Lender, depending on the terminology, can can be compensated up to 3% of the Loan Amount by law. A Mortgage Broker can only charge 3% total to their company and the Loan Officer is paid from that. The difference is how much the respective companies can charge the consumer then how much the loan officer can add to the company profit margin for their compensation. The Commercial Bank Loan Officer has no control over how interest rates his or her Bank presents them to the consumer, however, it is safe to say that Banks having to maintain a nice consumer Branch and personnel have a high cost of doing business and generally have higher interest rates. The Mortgage Banker or Direct Lender has the same high branch operations that need to be covered in the profit margin before the Loan Officer adds his or her percentage to the interest rate and they can add up to 3% for themselves. The Mortgage Brokerage company has to be lean to stay in the game as the Mortgage Brokerage Company can only make 3% of the loan amount total to the company and the Loan officer has to be paid from that. Next, we will need to look at how and where interest rates come from. This is where is gets complicated but if you are a consumer reading this know that you will generally always do the best if you work with a Mortgage Brokerage Company and here is why. As I said above a Mortgage Brokerage Company can only make 3% on a Loan transaction and the Loan officer must be paid from that. As a Loan officer you might be saying why would I ever want to work for less? Here is where the consumer will drive the answer to that question as a Loan Officer that makes more money per transaction at the Mortgage Banker you, the consumer, are paying for it in higher interest rates. As I stated earlier a Mortgage Banker or a Direct Lender, which ever terminology you wish to use, can make unlimited amounts of money to the company without regulation. Here is where you may have to read this a couple of times to fully understand what is going on. Having an understanding how interest rates are derived is important as all companies go to the same well to water their water, so to speak, to get their rates, and that is Wall Street. The basic interest market where Commercial Banks, Mortgage Bankers and Mortgage Brokerages get their interest rates come from the trading of large security pools of mortgages called Mortgage Backed Securities or MBS’s. These MBS’s are bought and sold every day all trading day long (from 9am est. to 4pm Est). These pools of mortgage have interest rates associated with each pool and are averaged to the nearest 1/8th of a percent. This is not a math lesson so I won’t go into the deep details of pricing, but this is where it begins. Banks and Mortgage Bankers who service mortgages (collect mortgage payments from borrowers) set the interest rates and the discounts and rebates associated with each interest rate in a 1/8th percent interval and they add their company profit margin on to those MBS rates and that is called a Wholesale Interest Rate. A Wholesale Interest Rate is the interest rate and fees that the company needs to make on each transaction as a minimum. A Mortgage Brokerage Company will go to these companies to find the best rates and deliver their loans to them and offer the Wholesale Interest Rates with their fee of a maximum of 3% (MAE Capital Real Estate and Loan only adds 2.5%) added on. A Mortgage Banker or Direct lender, on the other hand, is a company that will fund their own loans then either put them into a pool of MBS’s and sell them or keep them and service them. With those extra Origination expenses, a Mortgage Banker has, such as the cost of a Branch Manager, the branch rent, processing expenses and support staff will have to be added to the Wholesale Interest Rate before a Loan Officer is paid. The Loan Officer will then have to add his or her compensation costs above the branch costs this drives the costs up to the consumer thus higher end Interest Rate and fees. The Mortgage Brokerage Company will take on all the origination costs of the loan and will be able to use the Wholesale Interest Rate and simply add their fee to be profitable thus leaving the consumer with a lower interest rate and a lower monthly payment. Now that you understand how Loan Officers and Companies are paid you can make a logical choice in companies you wish to get your financing through. However, since this is an industry secret you may be confused when you talk with companies and Loan Officers when shopping for a Mortgage. 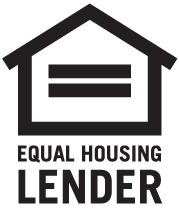 First, MAE Capital Real Estate and Loan is a Mortgage Brokerage and our regulator is the California Department of Real Estate and we do offer wholesale rate to our clients so you don't have to look farther than this article. As a Mortgage Brokerage we are required to hold 2 licenses to be able to offer Loans to our clients and Real Estate Services, those are a Real Estate Broker license and a NMLS License (National Mortgage Licensing System). A Direct Lender or Mortgage Banker, on the other hand, only has to hold the NMLS license. Another advantage of using a Mortgage Brokerage Company is that we have to maintain both licenses and with the additional knowledge we can help negotiate and explain the Real Estate process to consumers and even bundle our services to save them even more money. So, if you are reading this then you have found the key to finding the best interest rates as Mortgage Brokerage Companies in California have the ability to offer the lower interest rates. But don’t be fooled if you are calling around and get a Direct Lender’s Loan Officer and they call himself or herself a Mortgage Broker, you will have to ask them who their Business' regulator is and if it is not the California Department of Real Estate and it is the Department of Business Oversight then you are actually talking with a Direct Lender's Loan Officer trying to get your business. Call us today even if you are in the middle of a Loan Transaction we can analyze your transaction for free and let you know if you are not getting the best deal possible. Again, our phone number is 916-672-6130 and our website is www.maecapital.com we look forward to saving you money.